We just arrived home from Cambodia yesterday. It was an epic + amazing + life-altering trip. We had a beautiful time. I'll be sharing lots more photos and thoughts over the coming weeks. 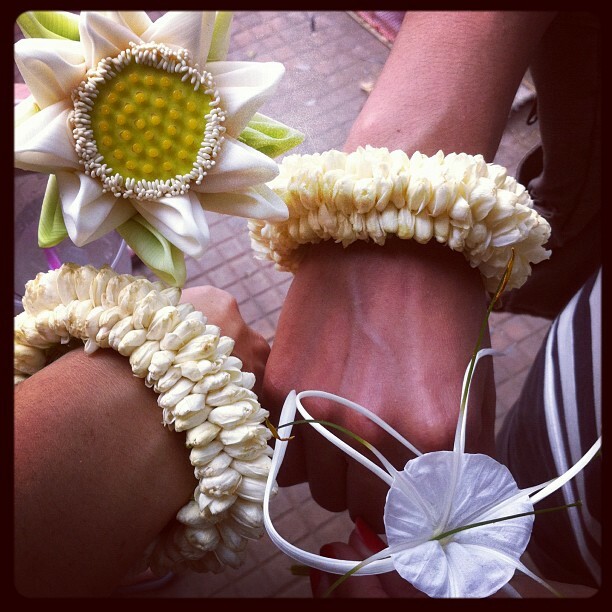 For now I thought I'd post the image above, of some floral inspiration: jasmine sambac bracelets for entering the temple, a folded lotus flower, and a Spider Lily.